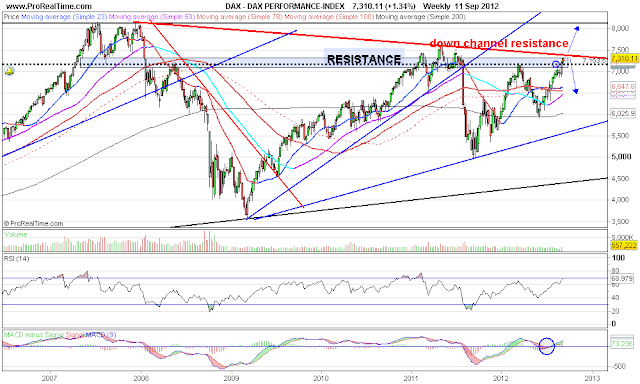 A laymans view of markets, a diary for trading ideas and thoughts: Summer ended..
DAX approaching strong overhead and downtrend resistance. Could be we get a brief push above, before a correction sets in. 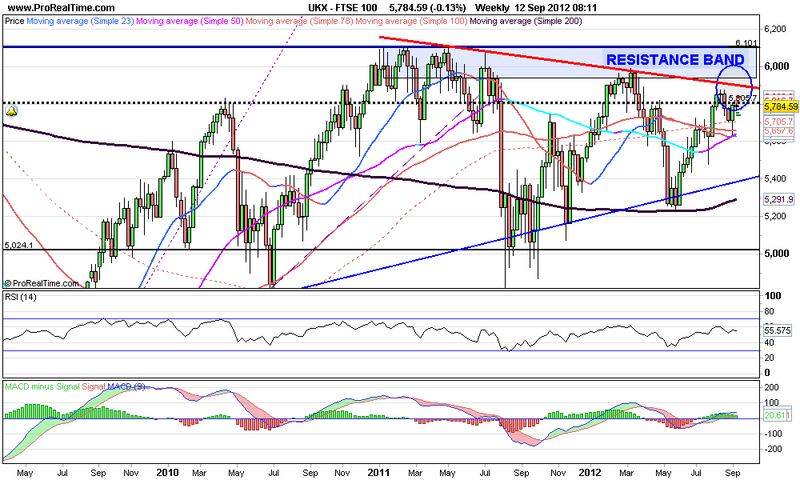 However unless the trend changes that will be all it is .. a correction. 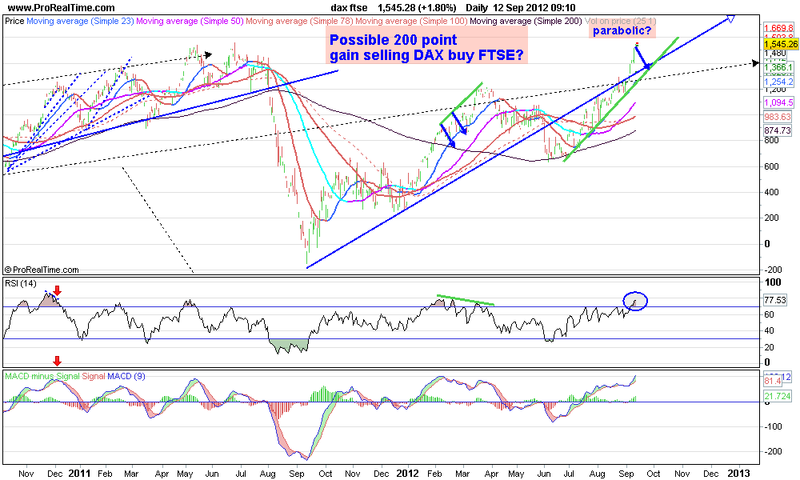 When there is an uptrend can see that DAX outperforms FTSE. 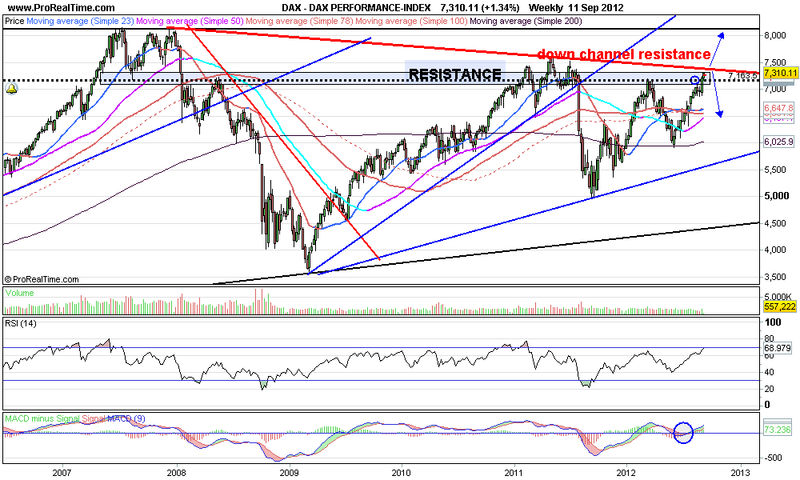 2, DAX has only 30 stocks compared to FTSE 100, and many are cyclical risk on stocks.